This Victorian enameled roemer was made in Europe and possibly decorated by the Bohemian glass-worker and designer Kolo L. Moser. It was given to us by a dear friend. 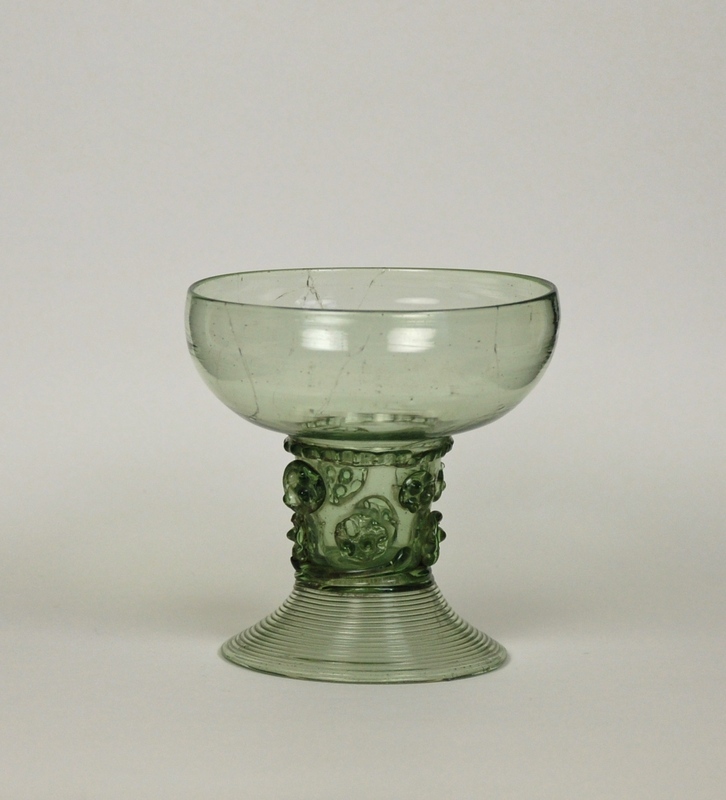 This early type of Wald glass is called a Berkemeyer. It has a flaring bowl on a prunted stem with pinched foot ring. Found in Germany. 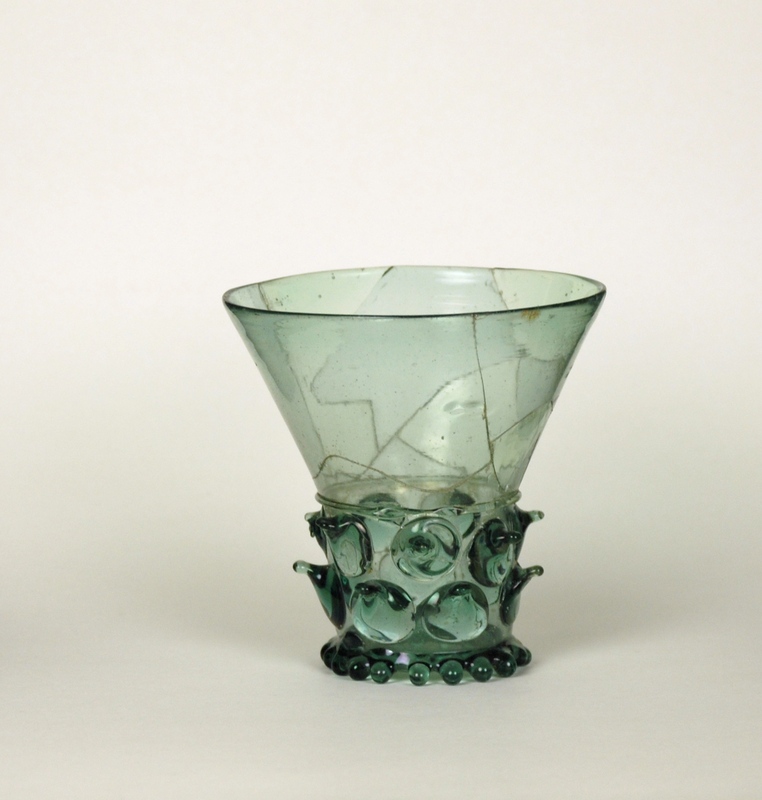 To view all the Roemers and Wald glass in this collection click here. 2nd Half of 16th C.
The restored ovoid bowl on this early Roemer is attached to an open stem decorated with pulled prunts. This Roemer bowl is more flared than example 40E. Unlike later Roemers there is no spiral foot only a pinched “toed” base ring. This form is closer to the Berkemeyer example 12E, which has a flared bowl. The discoloration on this early Roemer is due to the soil where it was found. 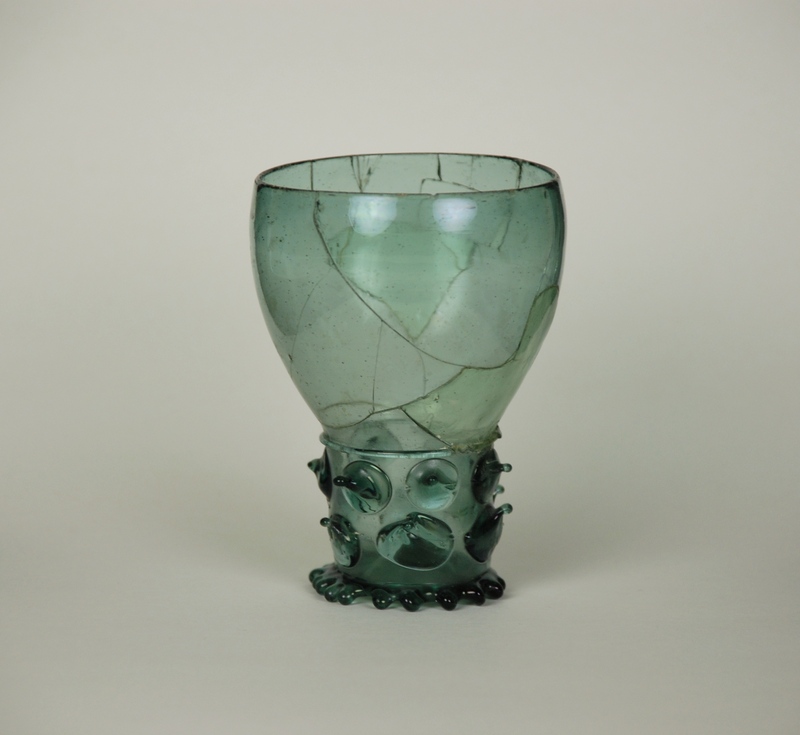 The restored ovoid bowl on this early Roemer is attached to an open stem decorated with pulled prunts. Unlike later Roemers there is no spiral foot only a pinched “toed” base ring. 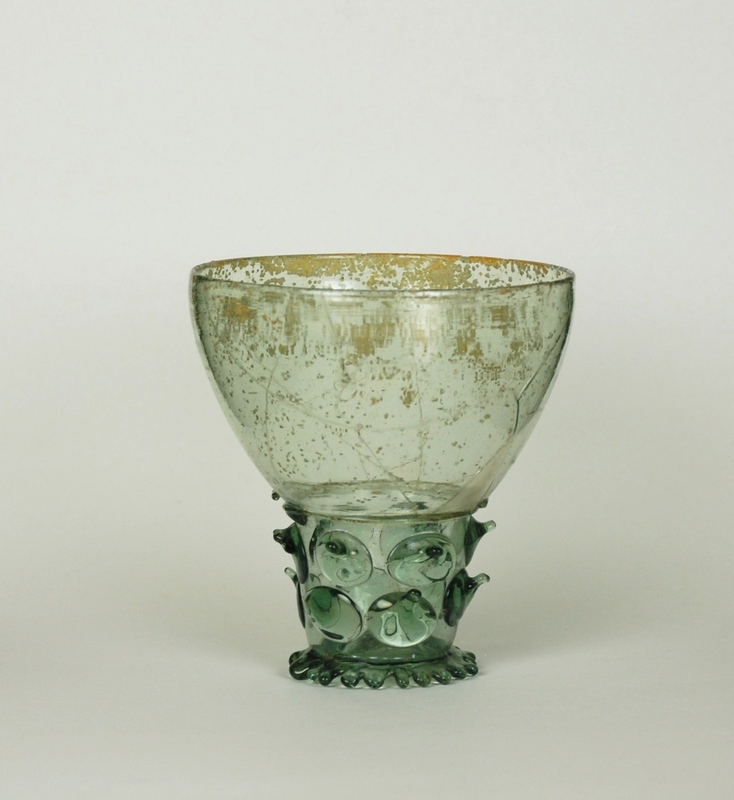 This form is close to the Berkemeyer12E, which has a flaring bowl. The bowl’s shape is the main difference in these two types. Also see early Roemer 56E. This Roemer has a small smooth rounded bowl with an engraved grapevine design. The closed stem is decorated with raspberry prunts and connected to a spiral foot made from a glass thread. The bowl on this Roemer has a faint ribbing with an engraved grapevine design circling the top. The open stem is decorated with raspberry prunts and connected to a spiral foot made from a glass thread. It may be from the Netherlands. This large pale green Roemer may be from Holland. The plain bowl and open stem are large. The stem is decorated with raspberry prunts and connected to a short wide spiral foot made from a glass thread.